UP to now it has been a really damp squib of a championship. The gulf in class in a lot of the games has been very clear. A lot of people are saying that the winners of Cratloe and the ‘Bridge will see themselves through to the final. The big thing about Cratloe this year has been the three or four younger lads that have come in and really established themselves. Diarmuid Ryan at centre-back, Daithí Collins, Billy Connors and Rian Considine have really added to Cratloe, which they needed to do. They had become really one dimensional but now these three or four lads have spiced up the team and made them a little bit less predictable. I think the Cratloe match-ups are going to be important against the ‘Bridge. I thought they got it awfully wrong against Ballyea. Podge Collins on Tony Kelly, for the first 25 minutes was probably the losing of the game for them. Podge wanted to go hurling as well and one thing you can’t do with Tony Kelly is let hurl. You’ve got to man mark him and get something to sacrifice their game to stay with him. Then they took Diarmuid Ryan out of centre-back to go out midfield on Tony, which I thought again contributed to them losing their shape and it left space down the spine. For the ‘Bridge the timing of their run is perfect. They’ve had a good break after winning the championship last year. The championship going back so late has suited them. Now they have shown little glimpses of frailty along the way this year but the likes of Shane Golden is coming back into form. Jamie Shanahan is putting up good scores and the man off the bench (Niall Gilligan) when they get in trouble, is still working for them. It’s going to be an awful tight game but I think there’s something about Cratloe this year. They’re beginning to manage the football and the hurling a little bit better and I think they’ll shade it. I’m not a fan of the dual player thing but Cratloe have done it. The thing is though they did it with a group of players that were fresh, had legs on them and they were able to recover within a week. There seems to be a massive focus this year in Cratloe and if they can keep their energy levels high, they can do it again. The big one is the ‘Bridge and now is the time to take them. We know how difficult it is when the ‘Bridge get to a final. They’re next to impossible to beat in a final and you only get one chance at them. Ballyea and Inagh-Kilnamona is an intriguing tie. I started the year managing Ballyea. I like to make sure that the whole team is going to be prepared properly. I wasn’t going to continue in a situation where I was going to be training eight or nine of the senior team and the rest on the junior team. That was the commitment I looked for from the start of the year, that it wasn’t going to be all about inter-county. I was never going to accept that and when that wasn’t going to work out and lads were going to half commit to what I wanted to do, I just couldn’t prepare the team the way I wanted. I made it quite clear that I wanted 80 or 90% commitment from the inter-county players, which I wasn’t going to get. The way it’s going now, there is a major problem even with development squads. They’re owning the club player. I’ve heard a lot of people disgruntled with the minor championship this year. They’re not seeing their players for long periods of the year because of development squads. The clubs have to take their players back. If they don’t, club hurling will die a death in Clare. We have to own those players and dictate the speed of where they’re going. 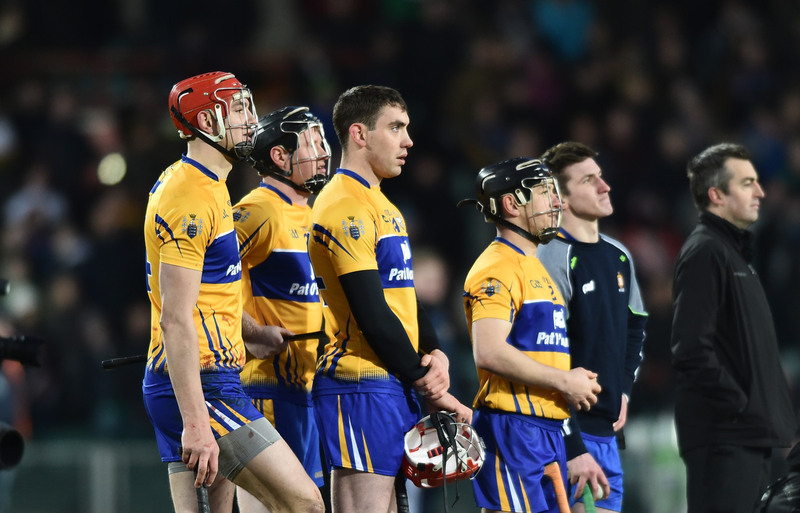 It should everyone’s ambition to play for Clare but it shouldn’t be at the detriment of the club scene. We’ve seen this year already, where once the inter-county scene is over, lads hop onto a ‘plane and their club is forgotten about. We saw a few players come back into the mix last week, with two rounds of the championship played. To me the sooner club chairmen stand up and say ‘our club is important’ the better. Because the club game is dying. As for the game, we know the frailties in Inagh-Kilnamona. When they have been taken on by other teams, they’re easily knocked aside in the real heat of battle. 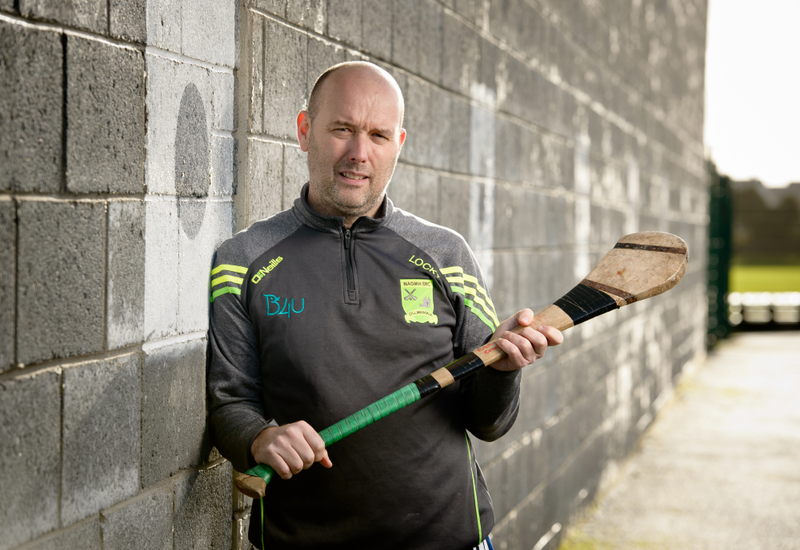 But they have the hurlers, the ability and the winning formula from under-age. But does the jersey mean everything to them? If they can get that right, they are in with a great chance in this championship. 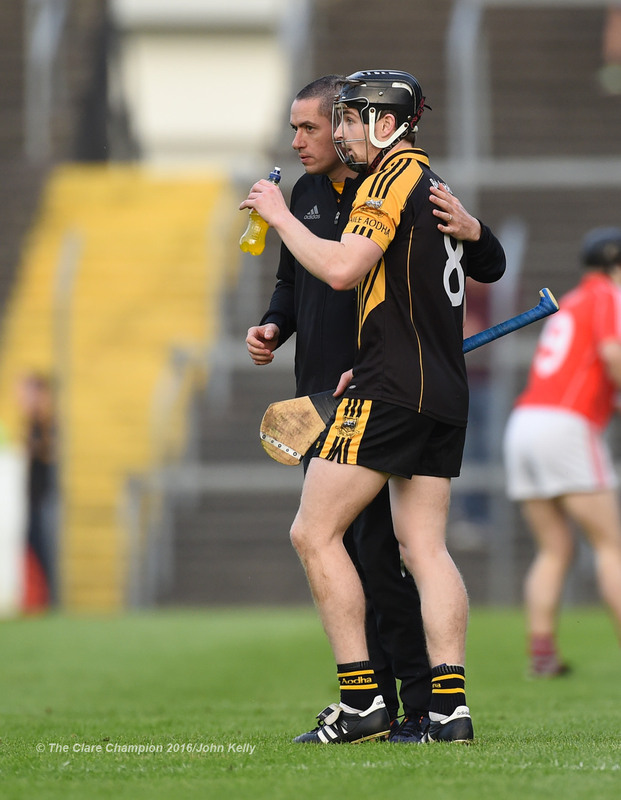 Fergal Hegarty knows the Ballyea better than anybody out there. He’ll get the match ups nearly 100% right and if they are ever going to get to a semi-final, it has to be this year. Paul Flanagan will be a major loss to Ballyea. I’d have liked to have seen him get his knee operation done four or five months ago. The key again is going to be how Tony Kelly is going to perform. They day he is stopped is the day they’re going to struggle. I think they have made a very smart move in bringing Gary Brennan out to the middle of the field. It has worked to date. At this time of the year when Clondegad are still in the football, putting Gary out there is a wise, smart move and something Inagh-Kilnamona will have to be awful wary of. It’s a game that Ballyea will need to fire on all cylinders if they are to get through. I have a slight inkling that when the jersey goes over their head if they are prepared to fight to the bitter end, they probably have a better balance than Ballyea. I saw Clooney-Quin against Kilmaley and the first half against Wolfe Tones. They’re battle hardened now to win. They know how to close out the game against Kilmaley, brought them into a game down the middle and didn’t allow them to run down the flanks. The one mistake Kilmaley made was leaving Conor Cleary on Peter Duggan because it stopped him playing hurling. The first day against Newmarket he supplied great ball to the forwards. They need that kind of ball because they are light, fast and quick. That all went when he had to follow Peter Duggan around the field. I have to admire the way Clooney-Quin went about their business that day. They closed them down, got them into a battle in the middle of the field and made sure that most of the Kilmaley puck outs went long to their half back line, which is a very strong line. The ‘Mills won the senior B last year, like Clooney-Quin the year before. They are in a similar situation to Clooney-Quin. The ‘Mills have brought a lot of pace and width to their game. The ‘Mills have some very quick forwards and they’ll need space on the flanks. If Clooney-Quin tie that in, I think they’ll just about shade it. Are the ‘Mills going to deploy Pat Donnellan on Peter Duggan? That’s going to be awful influential too. This is a massive weekend for Éire Óg too. Twelve months ago, I heard that last year was going to be there year. They must get over the line this year. They have the players but if they don’t buy into work-rate and mentality …. Last year against Clooney-Quin, they lost their shape a little bit, a few of them threw the toys out of the pram. This is their year to make the breakthrough and I think they have a draw that suits them. They’ll want to play hurling as well. Éire Óg would have wanted Kilmaley. It’s there for Éire Óg to win this game and I fancy them to squeeze through.